Shenzhen already move to new airport about 2 years. This new airport is definitely bigger, passenger has to spend sometime to adapt for the change. One thing I want to high light is that Shenzhen airport is no more directly link with the Shenzhen (SZ) MRT station. You have to catch a shuttle bus service in case you want access to SZ city by MRT. Down load the comprehensive SZ MRT map here, pdf download. Over here, I am going to show you some choices if you want to travel from SZ airport to JingTian station, a housing estate in SZ Futian District. By Taxi. This is most convenient way to go. It will takes about 30-45min with the fare within RMB100, the taxi driver will send you to JingTian. Even though this is the convenient way, but be prepared to have a long que in taxi area. By Bus. There is a direct bus from airport to JingTian, this is Bus #. You should get down at the station Chinese Medicine Hospital. You have to walk for a while before reaching the JingTian housing estate. Since this is the express bus, the journey is about 1hour reaching JingTian. Be prepare for long interval especially during night time. By MRT. Most of the MRT station in SZ service until 10:30 – 11:00pm or even late. If your flight is not too late, you still be able to catch the MRT to the city. The whole journey will takes about 1hour 20min. Move to the yellow colour shuttle bus from SZ airport to nearest MRTstation, Hou Rui Station(后瑞). Now you are in the Green Colour LuoHu to BaoAn MRT line. There are more than 15 stop before you reach Window of the World Station, this is the inter-change station to JingTian line. 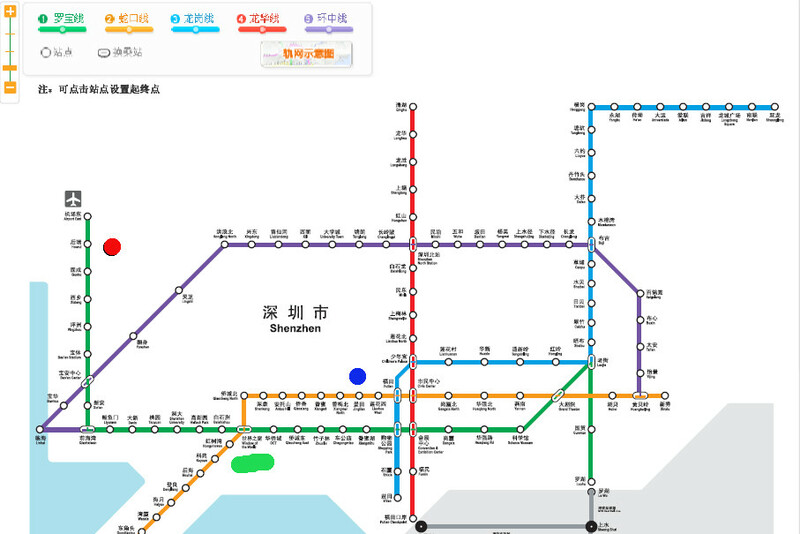 After another 7 stop, the MRT will be in JingTian station. There are exit D, F available in JingTian station. You will find MacDonald at Exit D.
Hope you are still with me after the long explaination. You will still be able using similar method if you want to go other places in SZ. Could I get Other Transport Arrangement? SZ is a metropolitan city in southern China, nothing is impossible. Perhaps this city also adapting latest information to ensure it competitiveness. There are other choices in case you want more than above traditional way of transportation. You could download DiDi Taxi app in the web, make your reservation, the driver will pick you up in the airport. This DiDi Taxi App is something like Uber but own by Tencent, one of the largest instant messenger company. In short, Shenzhen airport is located about 25km away from the city, it is not very far indeed. The public transport infrastructure are well organize, even you arrive at late night in the airport, you will be rest assure there are still many choices for you moving to the city area. Enjoy Shenzhen, the metropolitan city of Southern China. This entry was posted in Travel. Tags: China, JingTian, shenzhen, SZ airport, Transportation. 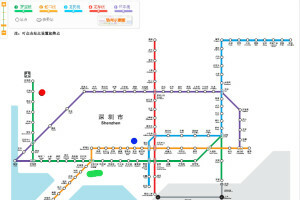 Now it even has MRT connected from SZ airport to JINGTIAN. New MRT train.